Team building is a time when you get a different perspective over the people you work with and start to understand them better. Everyone brings strengths and things that need improving in a team, therefore open communication is key to every success in the workplace, as well as in life in general. 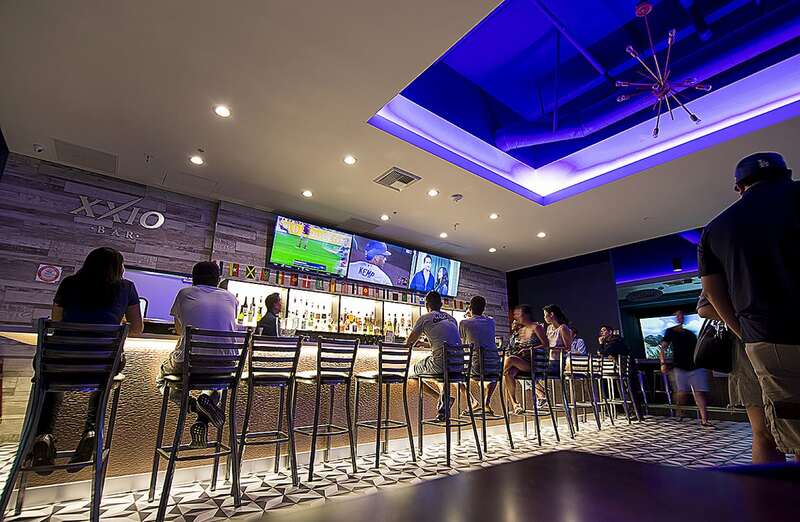 Olympic Golf Zone is a concept born from a dedicated team of individuals with a common passion, a burning desire to create a sports bar that is different from what the communities are used to, in other words, a remarkably unique experience. Our team efforts are paying off, as more and more people start to discover our indoor golf simulator and fun group activities, while our corporate events and birthday parties surprises win you over. Speaking of teams, we also bring the best team building activities at your corporate party, making sure that everyone who is part of your organization will have the time of their lives. Olympic Golf Zone understands that people who really get to know each other are more effective and successful as a team, their results improve, while the energy and motivation levels increase as well. Our indoor golf games can become one of the most exciting team building activities you have tried, as the very realistic indoor golf simulator makes you feel like a professional player on the golf course. However, the passionate and dedicated team at Olympic Golf Zone doesn’t stop there. As we care about our customer’s experience more than anything, we found the best team bonding games, from trivia quizzes to back-to-back drawing. If you are a great team building events organizer yourself, we work with your ideas and adjust our space to make them happen. Reserve Golfing to Make Sure Your Team Building Activities will Be a Success! Olympic Golf Zone’s team is sure that each company culture is different and that yours has its own personality and values it is guided by. In this context, we do believe however that one of the best teamwork games you and your employees can experience is our indoor golf simulator. Want to know why? Golf is about well-thought strategies, patience and a lot of practice and focus. These are very important attributes in day-to-day life activities, not to mention important values at the workplace. Each individual is unique, therefore every team member will have a slightly different view over a strategy, as well as a different doze of patience and determination. We, here at Olympic Golf Zone, came to understand that these little differences make the team even stronger, as long as everyone knows each other well and starts valuing their strengths and irreplaceable contribution to the group as a whole. What better way to start than with a fun, relaxed and entertaining golf game? Improve Your Group Dynamics within Your Team Building With Indoor Golf! When looking for a place that offers a wide variety of corporate team building activities, Olympic Golf Zone will surprise you! Our indoor golf ranges are a perfect way for your team to interact outside the project they are currently working on, start to know each other in depth and experience fun times together! These team building activities such as indoor golf are helping people relax, connect to each other in a different manner than before, which leads to better communication overall. Team bonding is what Olympic Golf Zone recommends for improving your work group dynamics and we have just the perfect space for that! 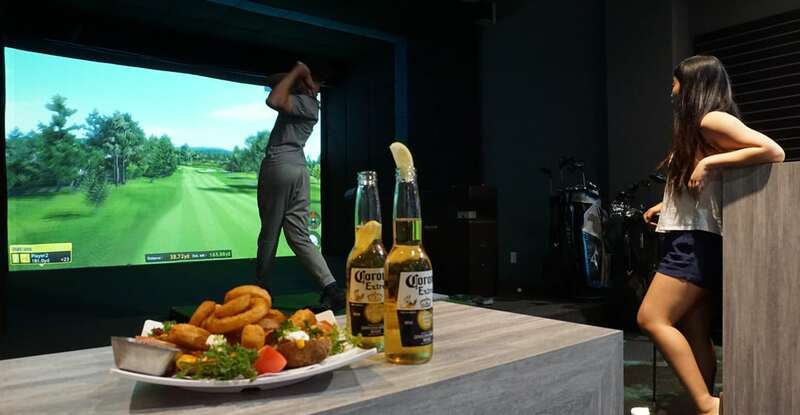 Our sports bar consists of 6 large virtual golf simulators, 2 realistic batting cages, as well as a full bar and a delicious variety of dishes, freshly prepared in our kitchen! Want to make your team building unique? Get in touch with our representatives at (714) 228-9900 or visit our location at 6988 Beach Blvd #B208, Buena Park, CA 90621!